This may seem like a small thing, but I had to write at least briefly about my find. When I was in Tulsa at Loops, I came upon what I consider to be quite the little treasure: Susan Bates Finishing Needles! Maybe I am one of the only people who have not seen these before, but I was thrilled to find them. They have an eye that extends the length of the needle! They are flexible. I was able to squish them as needed. 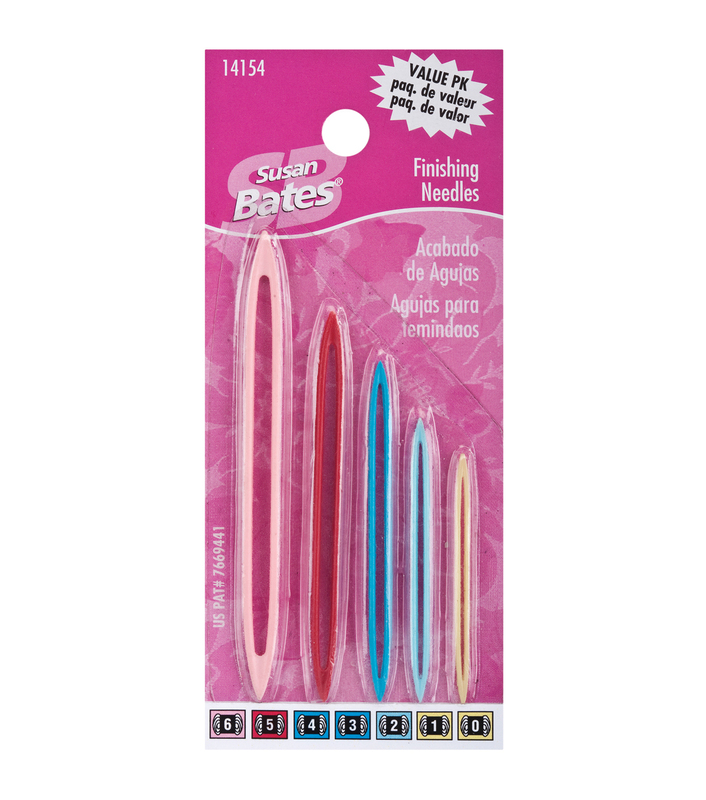 They are great for shorter pieces of yarn that need to be woven. 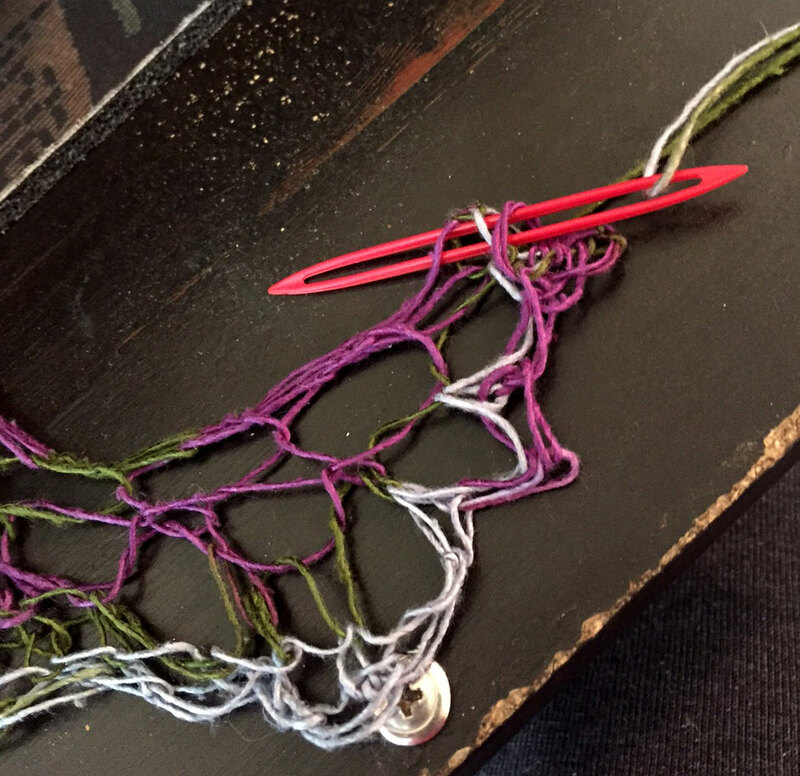 I tried them out yesterday to finish off a shawl, and they worked most awesomely. 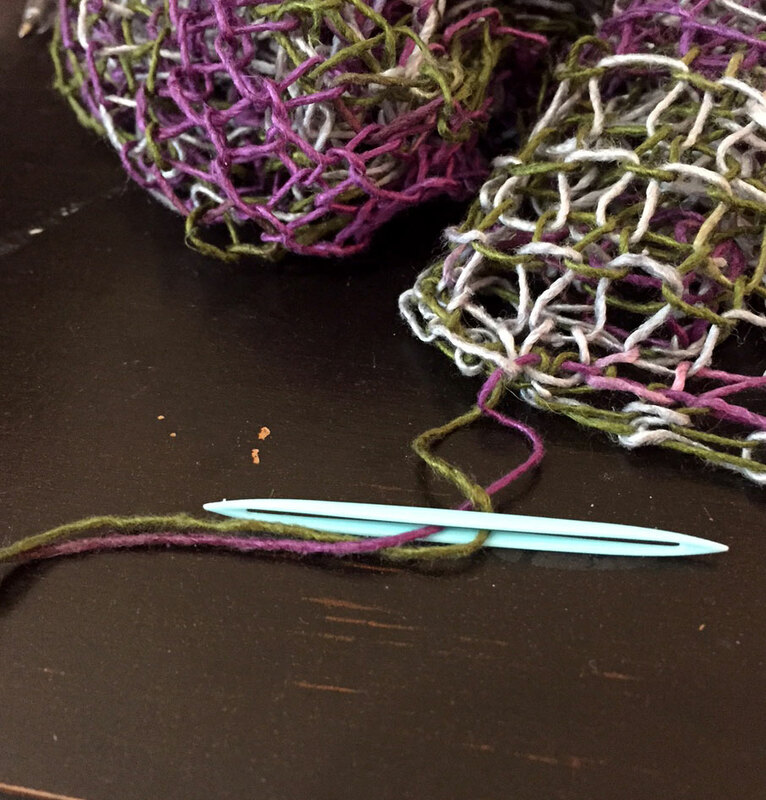 This entry was posted in Knitting and tagged Susan Bates Finishing Needles by cpeezers. Bookmark the permalink. I wonder how well they would work for doing kitchener at the bottom of a sock. I’ll have to see if I can find some around here. I have seen them at my local LYS now that I am looking for them. I think they should be pretty easy to find! Thanks for showing those to us. I had never seen them before. Our LYS closed in April but I will check out some other stores around here to see if they have any.